WHO called for more preventative measures against infection. There were likely to be “devastating” implications unless “significant” action was taken urgently, it added. The report focused on seven different bacteria responsible for common serious diseases such as pneumonia, diarrhoea and blood infections. It suggested two key antibiotics no longer work in more than half of people being treated in some countries. One of them – carbapenem – is a so-called “last-resort” drug used to treat people with life-threatening infections such as pneumonia, bloodstream infections, and infections in newborns, caused by the bacteria K.pneumoniae. Bacteria naturally mutate to eventually become immune to antibiotics, but the misuse of these drugs – such as doctors over-prescribing them and patients failing to finish courses – means it is happening much faster than expected. The WHO says more new antibiotics need to be developed, while governments and individuals should take steps to slow the process of growing resistance. In its report, it said resistance to antibiotics for E.coli urinary tract infections had increased from “virtually zero” in the 1980s to being ineffective in more than half of cases today. In some countries, it said, resistance to antibiotics used to treat the bacteria “would not work in more than half of people treated”. 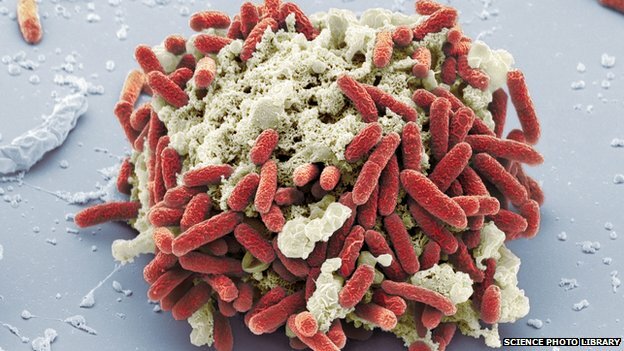 Urinary tract infections caused by E.coli bacteria are becoming harder to treat. He said effective antibiotics had been one of the “pillars” to help people live longer, healthier lives, and benefit from modern medicine. “Unless we take significant actions to improve efforts to prevent infections and also change how we produce, prescribe and use antibiotics, the world will lose more and more of these global public health goods and the implications will be devastating,” Dr Fukuda added. The report also found last-resort treatment for gonorrhoea, a sexually-transmitted infection which can cause infertility, had “failed” in the UK. It was the same in Austria, Australia, Canada, France, Japan, Norway, South Africa, Slovenia and Sweden, it said. More than a million people are infected with gonorrhoea across the world every day, the organisation said. The report called for better hygiene, access to clean water, infection control in healthcare facilities, and vaccination to reduce the need for antibiotics. Last year, the chief medical officer for England, Prof Dame Sally Davies, said the rise in drug-resistant infections was comparable to the threat of global warming. Dr Jennifer Cohn, medical director of Medecins sans Frontiers’ Access Campaign, said: “We see horrendous rates of antibiotic resistance wherever we look in our field operations, including children admitted to nutritional centres in Niger, and people in our surgical and trauma units in Syria. Professor Nigel Brown, president of the UK Society for General Microbiology, said it was vital microbiologists and other researchers worked together to develop new approaches to tackle antimicrobial resistance.